To make your Slido experience even smoother, we’ve been working on some amazing new features and updates in the last few months. Here’s a rundown of the key updates to help you improve your meetings and events. Let’s take a quick look. To make your meetings and Q&As even more productive, we’ve introduced Admin Replies that allow you to respond to any unanswered questions. You can also leave a private comment to duplicate or irrelevant questions. Quick Tip: After each meeting, you can export the comments and share them via email or the internal communications app that you use in your company. Asking the right questions can be tough. To help you run an icebreaker, get feedback on strategy or find out people’s learning expectations during training, we added a series of poll templates to Admin for inspiration. You can choose from different categories according to the type and purpose of your meeting. We also made it easier for you to manage events. You can now switch between the Participant, Present and Admin views in the top right corner, including detailed instructions to display Slido or join an event. Crowdsource questions, collect ideas or run “Ask Me Anything” (AMA) sessions instantly without having to leave the communications channel you’re already using. You will get daily notifications via direct messages about questions and ideas collected that day, whether you are Admin or participant. For more detail about the use cases, you can check out this blog post. Sometimes, it’s easier to express feelings and emotions via images. 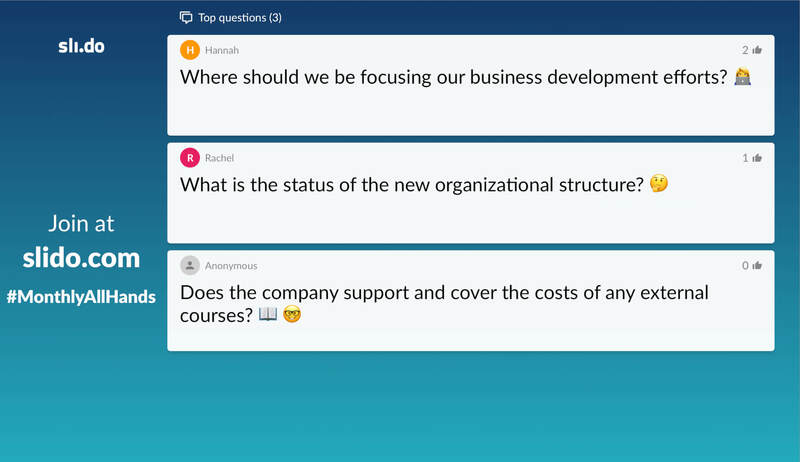 Your participants can now use emojis within their submitted questions and ideas. To help you review and organize your event data, we’ve tweaked our Analytics exports. We’ve also added exports in the Ideas feature. Are you organizing an event or meeting in Singapore? 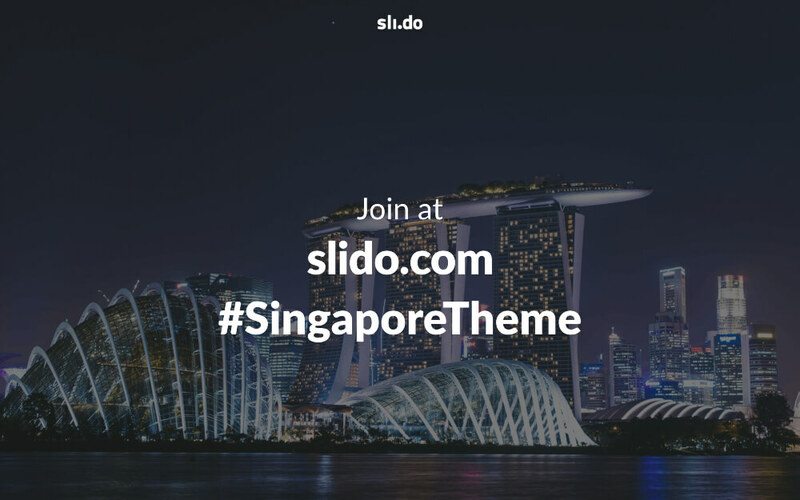 Make it stand out by displaying the iconic Marina bay – our latest Present view theme. Now you can choose from 35 different themes and looks for your event. Slido Academy: We are working on a series of amazing short and snappy tutorials in Admin. Check out our YouTube channel with all the videos. Ideas (BETA): Soon, we will officially launch the new Ideas feature in BETA. Collect ideas from any number of participants, no matter their location or time zone, all in one virtual space. Get in touch to get early access now. 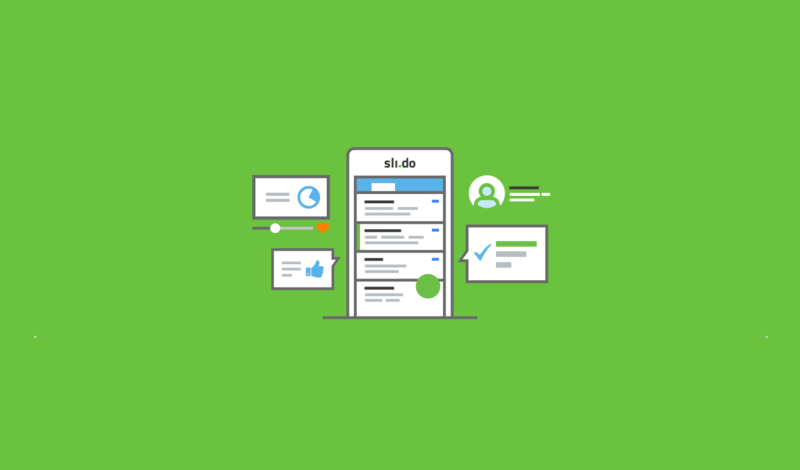 As always, we love your feedback, so please keep your improvements, fixes and feature requests coming in to feedback@slido.com or on Twitter @slidoapp.